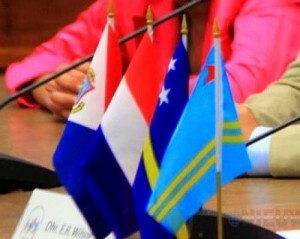 PHILIPSBURG, WILLEMSTAD - Curaçao, Aruba and St. Maarten “need a clear answer” about why the Dutch Kingdom Government has opted to shelf its version of the kingdom law to establish a dispute regulation. This concern was stated by the President of the St. Maarten Parliament Sarah Wescot-Williams. Wescot-Williams, who will lead her country’s delegation to the Inter-Parliamentary Kingdom Consultation IPKO, said the kingdom government “will have to give information” about the status of the draft. Aside from that, the three Dutch Caribbean countries are still focused on putting together their own kingdom law to bring about the dispute regulation. When the drafting is complete, the ministers plenipotentiary will have to table it to the Kingdom Council of Ministers. Wescot-Williams said she is curious to learn the Council of State’s opinion of the draft dispute regulation law put forward by now-former Kingdom Affairs Minister Ronald Plasterk. Prior to the IPKO sessions Tuesday through Friday next week, the three Dutch Caribbean countries will meet on Monday in their customary tripartite meetings.